When creating a new DXA (1.7) Web Application we can use DXA Core sample website to get started or we can start fresh, and build it from ground up using the NuGet packages. In a recent project we wanted to start fresh, only using the framework itself and not any of the samples provided OOTB. While some may say we lose the ‘acceleration’ by taking this path, others could argue that in most client applications they prefer to have a clean solution where they know what all the code does, and why, and have no extra stuff that is not needed or used inside. So, anyways, we decided to take the high road and start from a ‘file, new project’ approach. It hasn’t been easy, but it’s been real. The type name or alias DefaultCacheProvider could not be resolved. Please check your configuration file and verify this type name. The solution is quite simple, but can be deceiving. The DXA Sample Project .csproj file includes a very important command to tell the project to copy the DLL. In your own .csproj file, copy the above config anywhere on the top level. I placed mine before the final closing </Project> tag. Now, re-open the project in Visual Studio and build, and you should see the friendly SDL.Web.Tridion.dll file in the bin folder and your website will be happy again. 2016 has been a crazy year – let’s just agree on this and not get into the details! But, 2016 also did have some positive moments, especially in the Tridion community. Here I hope to highlight some of the positive contributions the community has made this year and hope that next year we will see continued support for these amazing initiatives! This year has been the year the DXA framework (formerly known as the SDL Tridion Reference Implementation) has made made some traction and we’ve seen increased usage in projects. The DXA team recently released version 1.7 and if you’re curious to find out what has been added, fixed and improved in this version then please see the release notes here. If you would like to build a small microsite with your team in a workshop setting, then you may be interested in the DXA Microsite workshop that I teach. It is a 4 day course where we go over all the basics and walk the team through building a microsite based on your requirements. It is taught both online and remote. If you’re interested, please contact me at robert.curlette@gmail.com and mention the DXA microsite workshop. Alchemy is the framework that makes your editors and authors happy, and saves time for everyone using the Tridion CMS Editor interface. A full plugin GUI framework created by Alex Klock and supported by Content Bloom, this is the framework you’ll install in 2017 to impress your content authoring team. The only requirement is that you use Tridion 2013 or SDL Web 8. This year the Alchemy Webstore saw a lot of nice improvements and is a really easy to use one-stop-shop for finding all your Alchemy community plugins. As of now, all plugins are free, and can be used in your project without worries. Several new plugins arrived this year, including ‘CommonKeyboardShortcuts’ (https://www.alchemywebstore.com/plugins/CommonKeyboardShortcuts), Save Close Publish Page, (https://www.alchemywebstore.com/plugins/Save-Close-Publish-Page), and Peek (https://www.alchemywebstore.com/plugins/Peek). Another reason to use Alchemy is the excellent packaging model, with .A4T files, and easy drag-n-drop deployment of the plugins you write. So, if you haven’t given it a spin, please do so now. Finally, this year we saw 3 technical Tridion conference events, recognizing the appreciation of sharing knowledge in the Tridion (SDL Web) community and that meeting and discussing technical solutions in person is priceless. Just last month we had the SDL Connect event in San Francisco and it was filled with an amazing energy and spirit. Days 1 and Day 2 were mostly for the business and marketing professionals. It was great connecting with former colleagues and meeting new people. Highlights from day 1 are here, https://www.youtube.com/watch?v=SeRe95Q8nAM. The best was saved for last, and on day 3 we had a day of technical Tridion sessions in the same flavor as TDS, including a great Product Roadmap presentation by Alvin Reyes, DXA session by Bart Koopman, Cache invalidation talk by Mihai, Alchemy talk by Tanner Brine, and I presented a talk about upgrading to Web 8. Overall the event was a lot of fun and I look forward to the next one. This year the DD4T framework continued to mature and we saw a 2.1 version released. But, most importantly, a decision was made to merge DD4T and DXA into 1 version, and to be named ‘DXA 2.0’. We expect to see a release of the love child of DXA and DD4T sometime in 2017. You can read more about it from Nuno and Quirijn here, and from Pankaj about why it’s merging here. 2016 was a year that we saw the DXA and Alchemy frameworks mature and gain wider acceptance. 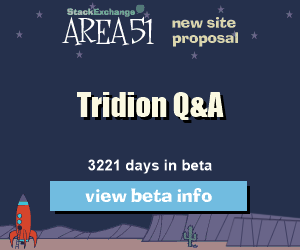 This should be a bright spot for anyone working with Tridion and investing in improving their implementations. I hope next year will bring more opportunities for sharing, more conferences, more events, and most of all, more fun! Sometimes when setting up Topology Manager you might want to rewind, undo everything, and start fresh. After all, in version 8.1.1.1 the install is a combination of PowerShell scripts with various configuration options, authentication mechanisms, etc and it is likely to get something wrong, and you want to start all over. If this is the case, I hope this article will help. Below I have the output of my PowerShell console where I remove all the relevant Topology Manager pieces. I also removed the Deployer and Discovery service, and at the end of the article I have those PowerShell scripts too, but from a separate window due to security rights. The security rights for running and executing the Topology Manager powershell scripts can be confusing. To run the below scripts, please go to the Windows Start screen in Windows Server 2012, search for PowerShell ISE, right click and select ‘Pin to Start’. Then, right-click on it and select ‘Run as User’ and type in your own user params (assuming you are an Admin). Also, your user account needs to be in the Windows Groups for Topology Manager (yes, these are new and yes it is important to be in these groups). Now, you can run the scripts below. 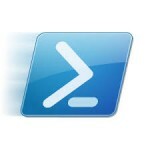 To uninstall the Deployer and Discovery services, you need to run a new PowerShell window as Administrator. Hope this helps! the Content Management environment with id 'Tridioncmsnd_landbdev2'. CoreServiceCredentials : "AuthenticationType":"Windows", "UserName":"Foo\mts_svc", "Password":"b1o$50Ming"
SDL Web to be Renamed? According to community insiders, SDL will rename its latest product, Web 8. The flagship product includes Tridion, the CMS platform that is the choice of multi national companies across the globe. 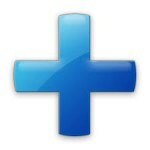 In the beginning the product was known as Tridion DialogServer but eventually the company shortened the product name to Tridion, the same as the company name. However, recently the name got even shorter, to just ‘Web’, or ‘SDL Web 8’ for the longer version. Many people found the name ‘Web’ too ambiguous and confusing. This Wikipedia article suggests that ‘Web’ could refer to “Arachnology, Anatomy/Biology, Computing, Mathematics, Publications, Television, or Radio and film.”. Rumors in the Tridion community are that it will be renamed to SDL ‘World Wide Web 8’, and shortened to WWW8, or W38 for short. The other name being considered was ‘Internet 8’, but they decided that was too broad. The decision is still open for the next name of the flagship CMS product from SDL, formerly known as Tridion. What do you think the new name should be? Leave your feedback in the comments below. 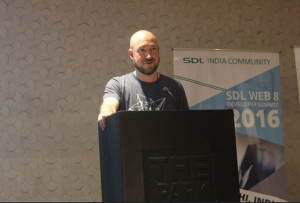 This year the SDL Web Dev Summit India was hosted in Delhi and I had the opportunity to present about the Tridion Alchemy Framework. For the presentation I ported to Alchemy an older custom ASP script to delete (and unlocalize) All Blueprint Children. In this article I will highlight the process I used and include a link to the sourcecode. I stil need to polish a few things before I add it to the Alchemy store, but please have a look at my code and hopefully it will help you in building your Alchemy plugins. Here I will outline the steps I followed to write the plugin. I won’t dive into too much detail, but I hope this will help you get started. Writing a plugin involves looking at some good code samples. So, my first step was to download and install every Alchemy plugin and also every sourcecode repository that was available. 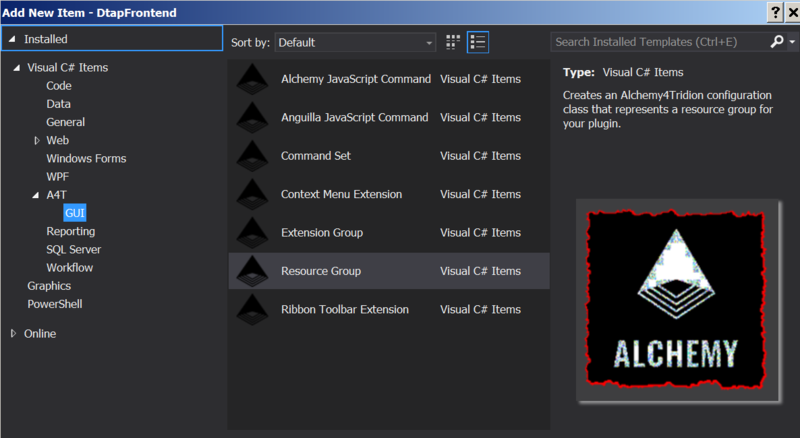 The latest version of the Alchemy VSIX Visual Studio Plugin has a nice Project Type called ‘Starter Plugin Project’. This creates a nice example with a button in the ribbon and also context menu. In my presentation I was able to go from File, New Project to having an Alchemy Plugin in my Tridion system in under 3 minutes. The reason I like the starter project so much (aside form the fact it’s very easy and fast to use) is it has a great clean structure of the files and folders, and provides an excellent reference. The GUI is now much easier to write and install than ever before (especially if you’ve done GUI Extensions!). However, there is some rhyme and reason for a lot of the things in the Alchemy framework and I will try to highlight a few here. 1. Create the Static folder. This holds your Commands .js file (which is executed when you fire the GUI event, and the same one we used in older GUI Extensions). Also in static you’ll have any .aspx popup files and css/js files your popup uses. In Static I create a Commands folder. 3. In the .js file, I define a command name, ‘UnLocalizeAllCommand’ that is very important and will be used later. I also borrowed some code from Mark Richardson’s ‘Real Time Publishing Stats’ plugin to open the popup .aspx file. *Note – in this version your popup must be an .aspx file and not .html. Otherwise, it will not be deployed to the views folder when you deploy the .a4t file. 5. Next is to Add the button to the GUI. The context menu is added with ContextMenuUnlocalizeAll.cs and Ribbon is from RibbonToolbar.cs. 6. Next we tell Alchemy what files to include for us with the ResourceGroupFiles.cs and PopupResourceGroup.cs files. 7. With the PluginCommandSet.cs we specify the same command name we used in step 3. 8. Now we could build and deploy the Alchemy Plugin and we should be able to see the items in the context menu and ribbon bar. The last step is to add the functionality to do something. 9. Create the controller, UnLocalizeController.cs, in a new Controllers folder and make sure to reference the Core Service Client. Here is where the main functionality is impemented. Carefully look at the AlchemyRootPrefix attribute and also the Route attribute on the class. These 2 parameters define how we access the service. 10. Finally, build the project to create the .A4T file. If you get annoyed with the alchemy popup window, disable it by opening your .csproj file (in Notepad++ you’ll need to run it with the Admin user) and follow my tip here to disable it for Dev. I hope this article helped you understand the flow of building an Alchemy plugin and assists you in your plugin dev. Please share your plugins on the Alchemy WebStore so we can all benefit from the community. 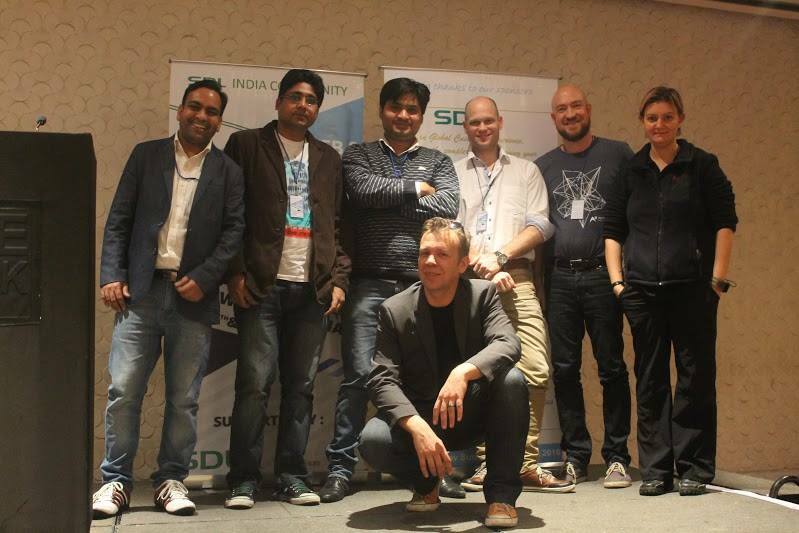 Special thanks to Pankaj Guar for inviting me to speak at the SDL Web Developer Summit India! Big thanks to Content Bloom and Alex Klock for creating the Alchemy Framework and sharing with the world! Starting an Alchemy plugin project is super easy. In this post I just want to mention a quick tip that will help you use the latest version of the framework for your Alchemy potions. 2. After creating a new project, go to the Nuget Package manager and search for ‘A4T’ and install the framework. This makes sure your Alchemy DLL is the latest, and also gives you the goodness of the Visual Studio templates. 3. Get a good clean example to follow. As of September, 2015 this is the CopyInfo example from Alex Klock for me. The Big Box of Samples is intended to be the ‘Unit Testing’ plugin for the Alchemy devs, so lots of goodies to be found there too! Have you built an Alchemy plugin that is a good starting point? Leave a comment below with a link to the source code. Thanks! Getting started with the Alchemy Framework for Tridion GUI Extensions is made easy with the great documentation provided on the online A4T API documentation site. When first getting started you might use the HelloWorld sample project or the Big Box of Samples project. Both are great places to start exploring the structure of an Alchemy plugin. After the exploration you’ll want to make a small change, possibly some new text in the popup in the BBS project. The popup text is in the View files at /Static/Views. 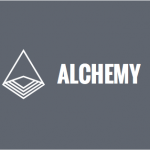 Then you’ll build the project and get an upload to alchemy webstore popup. While this is great and we want to use this when our plugin is ready, we probably don’t intend to put our personal Hello World project in the Alchemy webstore. To help us all and also “celebrate the Anti-RSI gods”, Mark Williams has written a great blog post of how to automate the above steps, leaning on the PowerShell script from Jan Horsman. Get it setup to speed up your Alchemy Plugin hacking. Writing Alchemy Plugins is fun and easy thanks to all the hard work Alex Klock and the team at Content Bloom have put into the Framework. It’s quite addictive and has been described as a ‘lifestyle’ by Tanner Brine at this year’s Tridion Developer Summit Alchemy Presentation. Good luck with your own alchemy concoctions! 1. Pair-programming is as much about learning new keyboard shortcuts as it is supporting the one doing the typing. We avoided many environment and coding issues by being able to swap people or computers when the going got rough. 4. Alchemy is not only a framework, it’s a way of life. Think of a WordPress plugins-type system all baked into Tridion, and with Dev tools that integrate directly into Visual Studio. Yes. Yes! This is the coolest thing since sliced Razor Mediator code! 5. Using the Tridion Content Porter for moving Pages and all dependencies is like asking a car salesman for a car that flies. Also, Content Porter is not called Magic Porter or Page Porter. 7. There’s a common feeling within the group of a ‘wish list’ of requested features. 8. Where there’s a song there’s a way. 9. Bottle-fed sheep eat during the middle of the night. Peacocks are louder than roosters. 10. Never look at John Winter’s phone when he says he wants to show you a photo. Ever. 13. When the bell rings, run for the bus.